Teaching a real estate class. Teaching a real estate class to the up-and-coming. Tonight was the night. After quite some time, I was in front of a classroom again. Now that I am on the Agent Leadership Council (ALC) of our office, think along the lines of board of directors at a regular corporation, I am asked frequently to teach a class to help newer agents to get into production. I'm not much of a go-page-by-page teacher. I like to focus on sharing my experiences in the 10 years that I have been a full time Realtor®. That sometimes makes it hard to get the attention of the people in front of you because they expect you to go by the manual they have in front of them. At the end of the class however, I believe everyone gets something out of the discussion that happens. Tonight was about how to prep to work with buyers. I remember when I first started, and had worked really hard to get a client, that I freaked out when my very first client ever said:" Yes, I like you to help me buy a home." Wait? What!?! Uhm, now what? I was so exited and nervous at the same time. I have a client!! Now what do I do, help! Back then I worked at an office that would help any and all new agents. I am very greatful that more seasoned Realtors were there to hole my hand and show me the ropes. 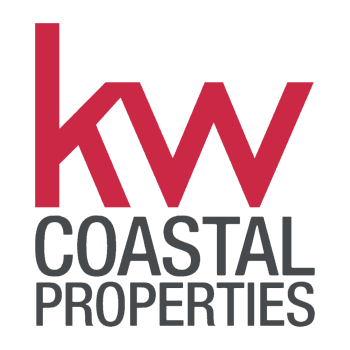 Tonight, as I've done before was about giving back and paying it forward to the new agents at my current office at Keller Williams Coastal Properties.